Mesoproterozoic Era is the era of good geological records. Began from 1.6 billion to 1.0 billion years ago this era lasted for nearly 600 million years. Major development of continental plate tectonics and plates are characteristics of this Mesoproterozoic Era. The continental plates developed at the end of this era have undergone little or no changes. Division of the mesoproterozoic era is really interesting. It is equally divided into 3 periods, each with a time span of 200 million year. Hence it is chronometrically arranged. There are 3 major periods of Mesoproterozoic Era – Calymmian, Ectasian, and Stenian. Each of these periods has individual features and contributed to the development of the era. The name of this period denotes the features of this period. According to the Greek meaning the name stands for ‘cover’ and is highly symbolical of the platform covers over cratons. There were major development and expansions of layers or deposits which accumulated over the earth’s cratons in this period. Hence the name is of this period is Calymmian. This development and expansion of layers is the part of continental building process where crust of the Earth thickens as rocks deposits on the peak of older rocks. Expansions of continental plates are due to deposition of sediments along the coast of the seas as they are washed into the seas. This made the sea shallower giving place to the continental plates to develop. Formation of new land was also due to continental movements making seas shallower between the landmasses. It was the Calymmian period when Columbia, the first continent suffered from major breakups. Started about 1.6 billion years ago this division of the first continent continued till the Ectasian period. During this process major rifting had taken place along Laurentia’s western margin, India’s eastern margin, Baltica’s southern margin, Siberia’s southeastern margin, South Africa’s northwestern margin, and block of South China’s northern margin. Volcanic activities too accompanied rifting and gave place to the formation of huge igneous rocks in the regions. Lasted from 1.4 billion to 1.2 billion years ago this period is the phase of platform extensions. It is the second period of the era and contributed in the expansion of continental landmasses. Drifting of continents too continued with the drifting process till the mid of Ectasian. It is in this period that the 1st evidence of sexual reproduction was found. The age-old Somerset Isle’s old Hunting Formation in north Canada dated back to the Ectasian period. 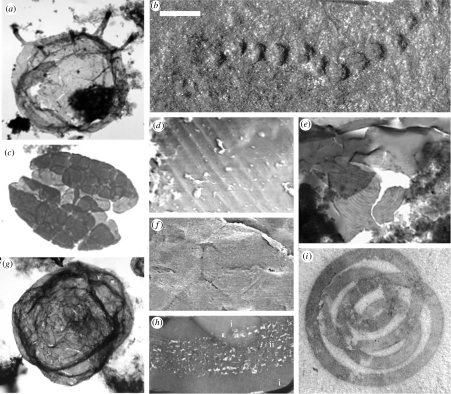 Multicellular filaments’ microfossils had been discovered which was known as of Bangiomorpha pubescens, a kind of red algae. These red algae, Bangiomorpha pubescens were thought to be the first organisms to exhibit sexual reproduction. This is also one of the complex but essential features of multicellularity. Complex multicellularity differs from simple multicellularity where organisms live together in colonies. Cells of true multicellular organisms have specialization to perform different functions and sexual reproduction is one of those essential functions where the gametes of female and male organisms are the specialized cells. It is the last of the 3 periods of the Mesoproterozoic era and lasted from 1.2 billion to 1.0 billion years ago and several major continental developments of the era took place in this period. Rodina, the first super continent, appeared in this period. The name of the super continent Rodinia refers to the formation of the narrow polymetamorphic belts which appeared in this period. Formation of Rodinia is interesting and its evidences still survive. The event which gave rise to this supercontinent was known as Grenville Orogeny and in the mountain ranges of the North America and Western Europe the evidences exist till today. How Rodinia was at that time? Rodinia was thought to be a desolate and stark place with a less trace of life. Life only existed in the form of stromatolites which grew profusely along the coastlines. It was also assumed that vast floodplain occupied the center of the continent containing age-old deposits of sediments and silts. As plan life was not present flood was not obstructed and the continents had suffered from massive floods. A massive sedimentary rock basin, the belt supergroup, extended across Washington, Idaho, Montana, British Columbia, and Alberta. All of these were full of limestone, siltstone, and sandstone and preserved beautifully the features of stromatolites, ripples, and cracks. It was also assumed that the super continent, Rodinia was not full of land only and surrounded by an ocean called Mirovia. There must be several inland seas and rivers where stromatolites grew in abundance. The belt near the line of Washington-Idaho reached as high as 50,000 feet with thick stromatolites. The first super continent was also known to be responsible for producing some major changes in the Earth. It was also the only landmass which existed up till the Mesoproterozoic Era. It is highly responsible to change ocean currents which were thought to form snowball Earth in the Cryogenian period. It is really interesting to know the Earth in its ancient days. It is equally exciting to know that our present day Earth is completely different from its ancient type and it takes the present form through process of evolution. Facts about the beginning of Life, formation of continents, mountains, rivers, seas, diverse species all are really fascinating.